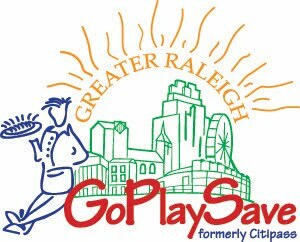 GoPlaySave Coupon books are easy to sell and handy to have in your car for savings when you're out around town. The coupon book offers many buy one get one free offers, making it easy to recoup the cost of the book by using just one or two coupons. GoPlaySave is available in the traditional book and mobile app formats. Click HERE for the fundraiser flyer letter. The GoPlaySave Mobile App allows you to redeem coupons directly from your phone. Click HERE for more information. After you have made your purchase, you will receive an email with instructions for setting up your account. The app may be downloaded from GooglePlay or the iTunes App Store. Each GoPlaySave book sold adds credit to your band account and to the general band fund. Thousands of dollars in discounts from over 355 Wake County merchants. Discounts include "Buy One Get One Free" and 50% Off. Merchants include Restaurants, Fun Stuff & Shopping. See more here. Long Shelf Life - Coupons expire November 30, 2019.